Looking for a cute, funny and intelligent rom-com? Try this novel about a Cuban girl living in a seaside Florida town with a bunch of nosy neighbors, one cranky abuela and three generations of a curse. It's incredibly sweet (literally, the boy bakes!) but doesn't shy away from examining the impact of the Cuban diaspora on first and second generation Cubans and immigrant children in general. Come for the romance, stay for the magical realism & pastelitos! Nina Moreno is a YA writer whose writing is somewhere between Southern fiction and a telenovela. She graduated from the University of Florida and writes about Latinas chasing their dreams, falling in love, and navigating life in the hyphen. She lives by a swamp outside of Orlando where she enjoys listening to carefully curated playlists, hunting through thrift stores, drinking too much Cuban coffee, and walking into the sea every chance she gets. 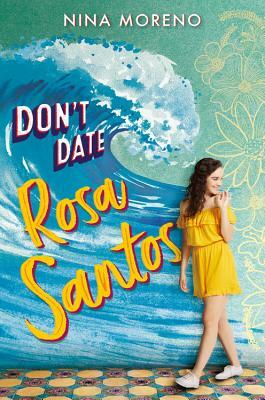 DON'T DATE ROSA SANTOS is her first novel.